Are you also a Skyrim lover and looking to explore more amazing games like Skyrim? If yes, then your landing on this page is the correct decision. Today article is all about Skyrim alternatives. Skyrim is an open-world game with amazing graphics, animations, characters, the quests and amazing concept that people love Skyrim with all their hearts. I must say it is one of the best action role-playing games. It has its own place and the feel of the game can’t be replaced by any other game of its kind but still there are a vast variety of games like Skyrim available out there, which more or less, offers the Skyrim-like gaming feel. Below I have compiled a list of top 10 best games like Skyrim you should give a try in 2019. The games mentioned have amazing concept and graphics and worth deserves a mentioned as the best games like Skyrim. Let’s head over to the list! Although, Skyrim is so good that it keeps the game-lovers completely hooked with itself. But certainly, there are several Skyrim like games, which deserve to be given a shot. And I’m pretty sure after trying your hands on the games like Skyrim, you are going to fall for them. So go through the below list of best games like Skyrim, if and only if, you are ready to let yourself fall for PC games like Skyrim. Now without any further ado, let’s get started with the list! 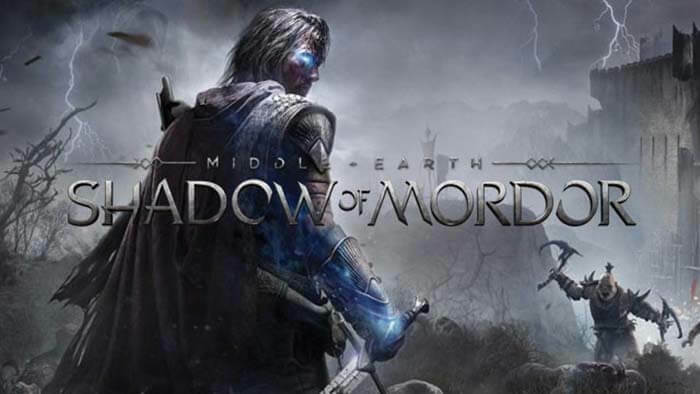 In the list of games like Skyrim, the first game we have is Middle-earth Shadow of Mordor. It’s an open world action game which was developed by Monolith Productions. The story of the game Middle-Earth is highly inspired by the two most popular novels The Hobbit and The Lord of the Rings and the graphics and plotting seems to be influenced by the films The Lord of the Rings and The Hobbit directed by Peter Jackson. The character of the games are highly adventurous and amazing graphics have involved the game. Those who are a fan of popular movies and books The Hobbit and The Lord of the Rings would love to play the game, it’s a definite prophecy. The storyline revolves around the main protagonist of the games named Talion, who was killed by the Black Hand of Sauron and his army along with his family. Now he, as a dead body, vows to take revenge from the antagonist Sauron. The Players control the Character Talion. This avenge drama leads the story to the super amazing twists and turns, quests and keeps the player completely hooked with the game. Dragon’s Dogma is one of the games like Skyrim which is epic and offers the same realistic game feel like the Skyrim does. 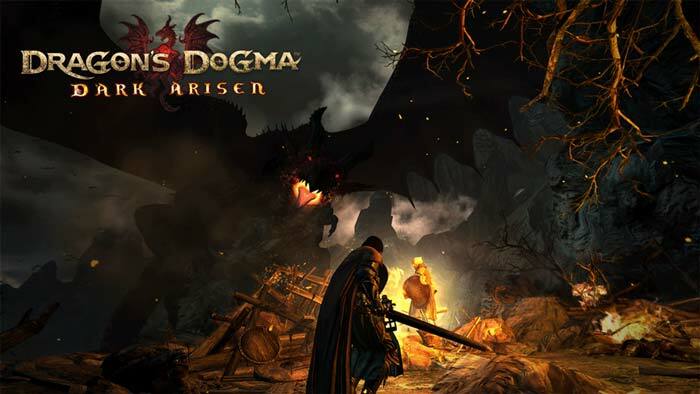 It was developed by Capcom and released in the year 2012, since then, it’s been popular and even today, people just love playing Dragon’s Dogma. The Dragon’s Dogma is an open world action gameplay and lets you have complete fun while playing the game. While playing the game, you are provided with various roles including Fighter, Strider, Mage, Warrior, Mystic Knight, Ranger, Assassin, Sorcerer, and Magic Archer. You can choose any of the given roles and enjoy playing the game to its core. There are various quests in the game and amazing graphic designs that you won’t just find this game as an alternative of Skyrim but a complete full-fledged fun game which is realistic and stunning. The platforms that support Dragon’s Dogma are PlayStation 3, Xbox 360 and Microsoft Windows. If you want to know complete details about the game, you can check its wiki or the official page of the game. The next up we have is Divinity II, which is one of the games like Skyrim with the open adventurous environment and its nature of being an action play. The divinity has everything for the game lovers from the amazing graphics which is, of course, a visual treat to the players and involves a super cool storyline. 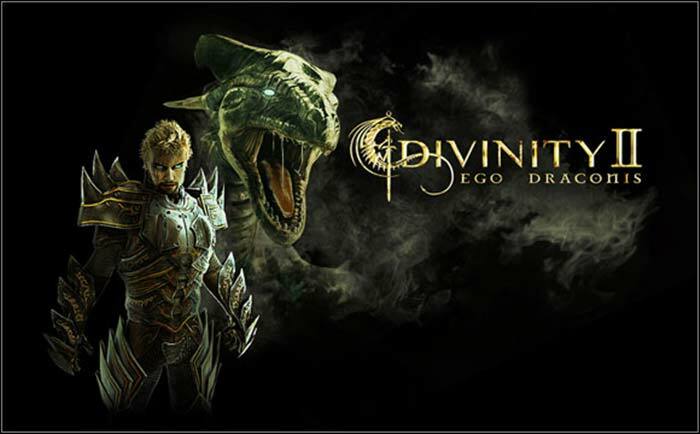 The protagonist in the game comes with the ability to choose from the two roles, the one which can fly like a dragon in the air while the second one is the traditional human character-type like other games. As the story progresses, the players get to see lots of quests, twists and turn in the game. Playing Divinity II is total fun as the main character gets to interact with the other non-player characters. The upgradations of the game equipment with the progress of the storyline and some amazing magical effects on equipment of the protagonist obviously fill the game with complete Joy, actions, and adventure. Ryse: Son of Rome is an entirely hack and slash based game which falls under the Action-adventure category. It’s a single as well as a multiplayer game which you can enjoy playing with your gaming partners. If history is your favorite subject then Ryse: Son of Rome game is surely going to keep you hooked as it’s an entirely history-based game, which displays the Rome history in an astonishing gaming manner, portraying all the elements of the Rome history just right! On its release. 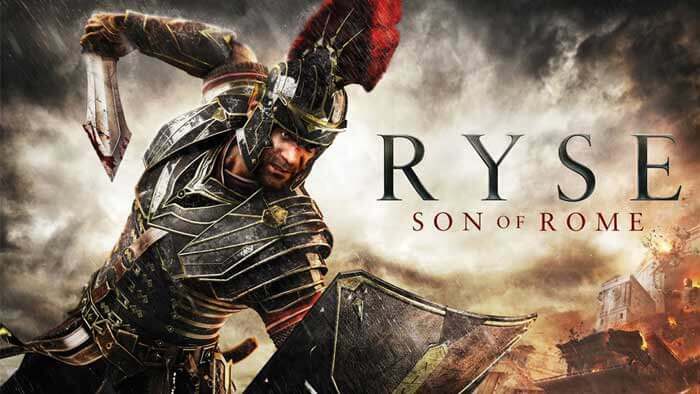 the Ryse: Son of Rome got mixed reactions from the players and the critics. The story, screenplay, characters, graphics, and combat surely interest people but the low difficulty level of the games disappoints a little. But as a whole, its an open world game which definitely deserves to be considered as one of the games like Skyrim to the Skyrim lovers. The action and power-packed game indeed. 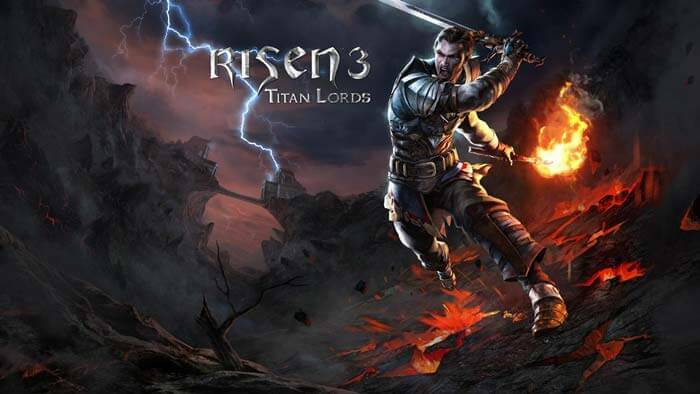 The Risen 3 is the third edition of the series Risen and portrays the protagonist as the super-powerful human being who is there to fight with the Titans and win the combat against them. The Risen 3 is a paid game like every other game on the list and comes as a free upgrade to the players who have purchased the game’s previous editions. The Risen 3 is compatible with the various platform including Xbox 360, PlayStation 3, PlayStation 4, and Windows. So if you are having any of these platforms, you are good to go with the game. And trust me, you will truly admire the game as it’s admittedly one of the games like Skyrim who deserves to be given at least a try! The Witcher 3 holds a good position in the action and open gaming world and it’s among the top games like Skyrim. The Witcher 3 is the most award winning game in the year 2015. 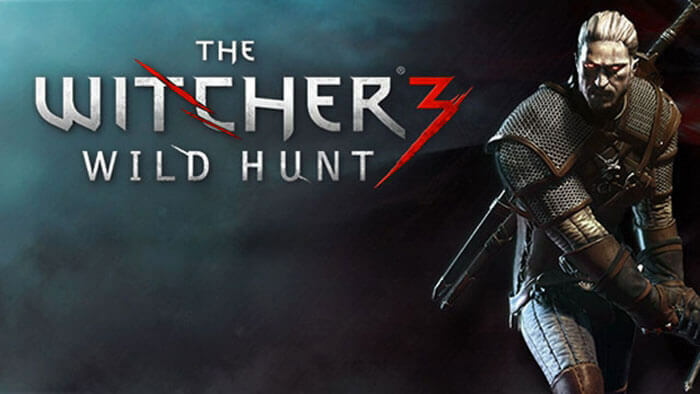 The Witcher 3 was the most praised game of the year 2015 which received various awards for game designing, combat, super amazing graphics and the extraordinary execution of the game visuals. From receiving several ‘Games of the Year’ awards from gaming publications, critics, and award events, the Witcher 3 is one of the actual games like Skyrim which you can’t afford to miss as being an avid game player. The Elder Scrolls III: Morrowind is yet another one of the games like Skyrim which is impressive in graphics, storyline and have an amazing plot. 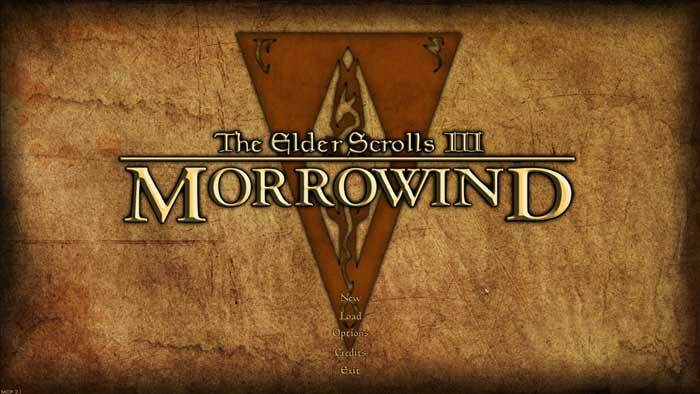 The Elder Scrolls III: Morrowind was developed by Bethesda Game Studios in 2002 and since then, it is considered as one of the leading games in the action play category. It is a single player game which is supported well by the platforms Xbox and Microsoft Windows. The story of the elder scrolls 3 revolves around the Tribunal, who are god-like beings who struggle and fight against the antagonist, who once was an ally. If you are a fan of the RPG games and looking for some more games like Skyrim, the Elder Scrolls III is something which needs to be given a try. It’s the third game of the “The Elder Scrolls” series which is followed by the next release in the series i.e The Elder Scrolls IV: Oblivion. 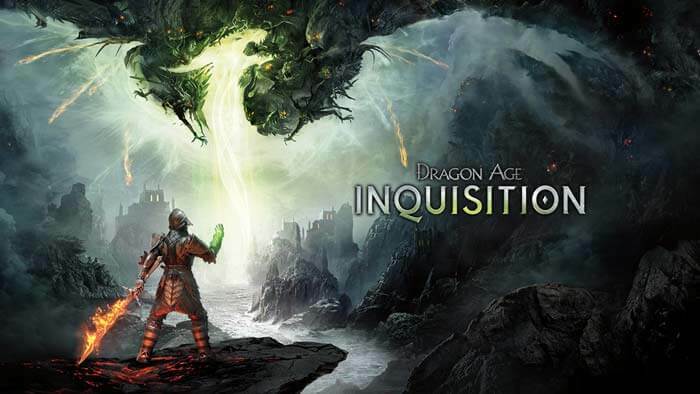 Dragon Age Inquisition is an open-world action game which falls under the RPG category. The reason why it is considered as one of the games like Skyrim is the power-packed actions and super plot. The protagonist in the game is powered with extraordinary capabilities of sealing of the breaches where the demons and evil souls enter the world with the purpose of harming the world. You control the protagonist in the game whose duty is to prevent the Devils coming into the world by sealing off the breaches. This entire storyline involves lots of quests, actions, and complete fun. Still looking for games like Skyrim?? Why don’t you give the Dark Souls II a try?? I’m pretty sure you won’t regret your decision. 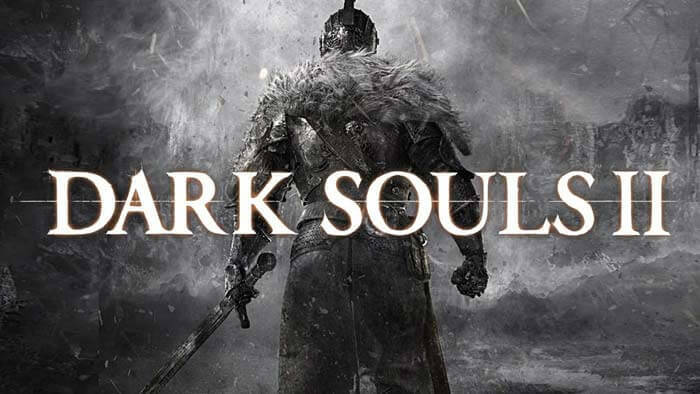 With support for both the player modes i.e single player and multiplayer, the Dark Souls II, is one such game which is full of actions, adventure and possess a high level of difficulty making the heavy players love the game even more. The dark souls II spins around a man who is cursed to die never, thus becoming a man with no motive or purpose, the protagonist tries to get out of the curse by any means. In that order, he reaches to the fallen kingdom of Drangleic. There he has been asked to complete the given tasks in order to get rid of the curse. The complete plotting is done in such an amazing way and involves lots of actions, quests and wondrous graphics. Last but not the least, the game which is considered as one of the games like Skyrim is Dark Messiah of Might and Magic.The game was released about 11 years from now but it is still one of the most loved action games across. The storyline of the game is extremely impressive where the protagonist of the game is Sareth. You, as the player of the game, control Sareth. The game is full of the magical environment, amazing quests and full power-packed action where the protagonist needs to enhance his skills in order to win over his enemies. Sareth is the apprentice of the arts of magic and has gone through the physical training in the arts of war, is sent to the city of Stonehelm to accompany an expedition who is trying to retrieve a powerful artifact known as “The Skull of Shadows”. Due to the action role play and open adventurous environment, the game Dark Messiah of Might and Magic is indeed one of the games like Skyrim, which never disappoints its player. So these were the 10 best games like Skyrim you should play. Skyrim is undisputably the best open environment game and game lovers love to play Skyrim to the core. But we can’t deny the fact that the other mentioned games in the list are also really good and worth to be played at least once. It was our duty to list down the games like Skyrim for PC for those, who want to explore their gaming experience and just don’t want themselves to limit to just one game and we have tried our best to jot down only the best once. But it’s completely the user call that which game they feel is the best and holds most resemblance with Skyrim and offers the amazing gaming experience. Amazing collections of games to play and mostly I love to play 2 games 1. The Witcher 2. Risen 3. These both are favourite and here I got the nice review for both. Thanks for sharing such amazing list of games.